Welcome to Part II of our look at the difference between a five-figure Submariner ref. 5512 and a six-figure one. As with most vintage Rolex watches, it’s the seemingly smallest of details that make the biggest impact. Read Part 1 of the series on the Rolex Submariner ref 5512. The Rolex Submariner ref 5512 is a collectible watch. When the first batch of Rolex Submariner ref. 5512 watches came out, they were not chronometer-certified, therefore they only included two lines of text leaving behind the ubiquitous “Superlative Chronometer Officially Certified” text. However, Rolex eventually equipped the Submariner 5512 with a chronometer-certified movement (and the ref. 5513 then became the non-chronometer option of the era) and as a result, added the additional two lines of COSC text. While all two-liner Submariner 5512 models have glossy dials and gilt text, depending on the year, four-liner versions can either come with a glossy/gilt dial or a matte dial with white printing. Due to their age and rarity, two-liner Submariner ref. 5512 versions are typically more expensive than four-liner editions. Here you can see the meters are showing before the feet. A closer look at different dials of the vintage Rolex Submariner ref. 5512 reveals that Rolex changed up the placement of the depth rating. Early editions included meters first where the dials indicate 200m = 660ft. Rolex later switched it up to have the feet rating first where the dials indicate 660ft = 200m. There are two-line and four-line versions of the meters first Submariner 5512. Again, as expected, because meters first versions came first and were in production for a shorter amount of time, they are often more expensive than feet first editions. This example of the Rolex Submariner ref 5512 has four lines of text instead of two. In addition to the various depth rating configurations, the “SUBMARINER” placement on the ref. 5512 also changed during its manufacturing run. The SUBMARINER label on the dial always came after the depth rating until the mid-1970s when Rolex began placing it above the depth rating. 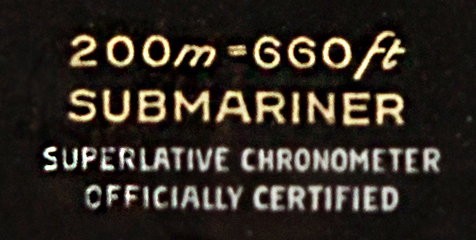 This became the standard and now, the SUBMARINER label is always placed before the depth rating and SCOC text. Since the placement of SUBMARINER came only in the mid-1970s, it’s safe to say that older models where the depth rating is placed on top are generally more valuable in the vintage market. What are your thoughts on the Rolex Submariner ref 5512? Comment below. How Valuable is the Submariner ref. 5512? It’s interesting to note that the Submariner ref. 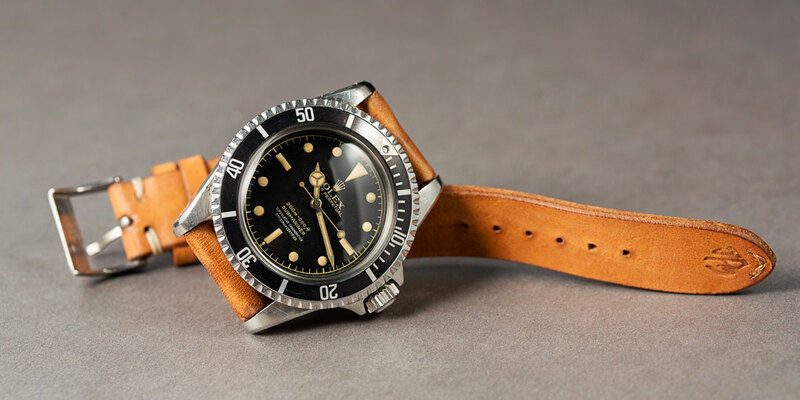 5512 was actually the Rolex watch of choice of Steve McQueen despite the fact that the Explorer ref. 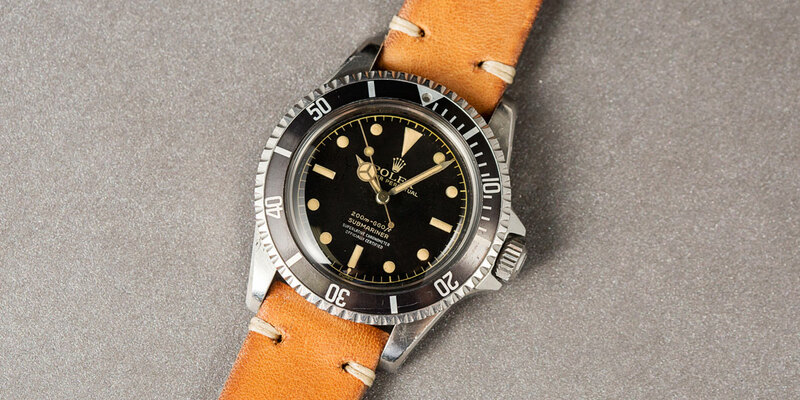 1655 is (erroneously) nicknamed the “Steve McQueen.” In fact, his Submariner ref. 5512 sold at auction in 2009 for $234,000—although we’re certain it would fetch much more than that today given the bullish state of the vintage Rolex market. While a quarter of a million dollars is certainly at the top of the price range for a Submariner ref. 5512, the value of this particular vintage Rolex watch model has risen steadily. Depending on provenance, condition, and variant, the price of Submariner ref. 5512 watches normally range from about $15,000 to just shy of $100,000. Remember that the ref. 5512 is substantially less common than its sibling non-chronometer reference, the Submariner ref. 5513. 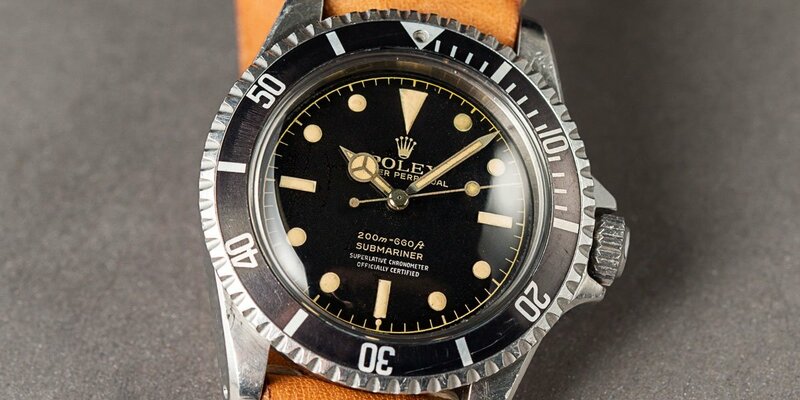 Some estimates say that Rolex manufactured five times more Submariner ref. 5513 models than ref. 5512 models. What is certain is that the Submariner ref. 5512 is a milestone Rolex model that introduced crown guards and a larger 40mm case size to diving watch family—both of which are still found on today’s Submariner models. What do you think of the Rolex Submariner ref. 5512? Let us know in the comments section below!